Much attention has been focused on the efforts of the superyacht industry to embrace sustainability and green building practices. But what about the travelers – the people who rent, for example, a private yacht for a Virgin Islands yacht charter holiday? How can they contribute to furthering the cause of green, eco-friendly vacations? It’s not hard, and taking a “green approach” to vacations goes hand-in-hand with being a responsible traveler. With a little effort, charter passengers can help reduce the negative environmental impact on the places they visit. Green travel begins with the understanding and respect for the cruising destination’s culture and an effort to bring benefit the local economy. Lastly, you do not have to pay more to go green! a) Re-use towels and linens during your charter. Crews on yachts scramble to clean and change linens throughout a charter. After all, they are dedicated to the highest level of customer service. Simply tell your crew that you are willing to reuse your towels and bed linens more than once or twice during your stay. It is estimated this simple act can save 5 percent on utilities! b) turn off the air conditioning and lights in your cabin when leaving the room. Plan a trip that will reduce carbon emissions. Sometimes it is as simple as considering the distance from the arrival airport to your awaiting yacht. Ask your crew if there is a marina or sandy beach close to the airport. If there is, you can save the cost of a taxi and the related carbon emissions of the vehicle. HOW TO REDUCE CARBON OUTPUT AND GO GREEN? For instance, many people arriving for a charter in Tortola, BVI first fly into St. Thomas, USVI. After that, they take a 30 minute taxi to the ferry docks. They then ride a ferry to Tortola. Lastly, they take another quick taxi to a marina, where their yacht and crew await. As a green alternative, you can fly to Beef Island airport in Tortola, adjacent to a large, sandy beach. Your crew can take a dinghy up to the beach to pick you up, and you can literally walk over from the airport! You can easily travel greener by learning about your destination. Research the culture, food, and environment of the places you visit. 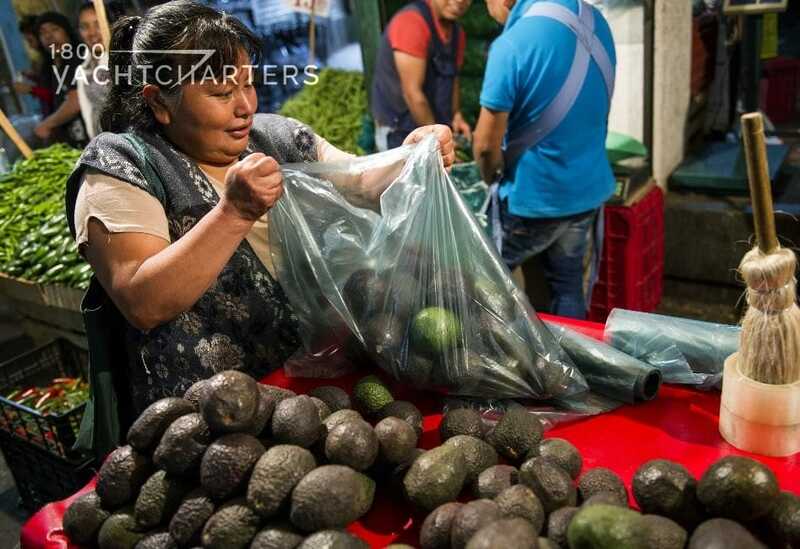 Prior to your charter, ask your crew to cook using native cuisine versus foods and goods that need to be shipped in. When going ashore to shop and sightsee, buy souvenirs and handmade crafts that benefit the local community. Do not buy imported goods. Lastly, Do not purchase souvenirs made from local endangered animals or plants. Remember, responsible travel habits will reduce the negative environmental impact on the places you visit. These impacts matter long after you and your sailing companions have returned home. Do you have any tips to share on how to travel and cruise by yacht with less of an environmental impact? 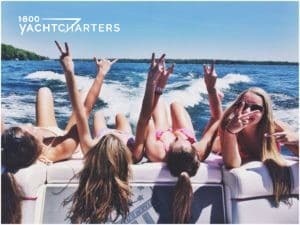 Contact us with your suggestions at https://www.1800yachtcharters.com/book-now-contact-us/ now. That is typically the first question a charter broker asks a prospective new customer when approached with an inquiry for a mega yacht charter vacation. The answer is often a request for a motor yacht. Yachting aficionados routinely inquire by motoryacht brand. They ask specifically, for example, for a Benetti or Trinity yacht charter vessel. The pendulum, however, seems to be swinging as more clients express interest in luxury sailing charter holidays. But what about luxury and comfort? For years, sailboats were considered small and cramped, with far fewer amenities than their power-driven counterparts. “That’s all in the past,” says Sheeder. Sail yacht KOKOMO is indicative of this direction. The 58 meter sailboat reflects new heights of excellence in terms of design, technology, engineering, performance, and quality. 1. Sailboats offer you the chance to experience and enjoy the journey as much as the destination. 2. Sailing yachts are more environmentally-responsible (“green“) than motor yachts. 3. Sailboats offer greater fuel economy and less fuel consumption than motor yachts. 4. Sailboats can offer a more tranquil, relaxing experience than a cruise on a motor yacht. What is the 5th great reason to choose a sailing yacht charter vacation? Click HERE to tell us why you think sailboats are the best way to experience a holiday on the sea. With much of the northeast United States buried under a blizzard of snow, here’s a new superyacht amenity guaranteed to give you a “sunny” outlook! LMV’s Lasy Solar sun bed self-orientates according to the position of the sun. How neat is that?? Imagine you are onboard your Lurssen Yacht Charter somewhere off the coast of Capri. Your solar-powered sun bed slowly rotates to keep the heat on your body. What’s that you say – it’s starting to get a little too hot? No worries – there’s a built-in Mist Breeze cooling system to cool you down! Of course, total comfort is a must, so the bed is covered in marine-grade luxury leather. 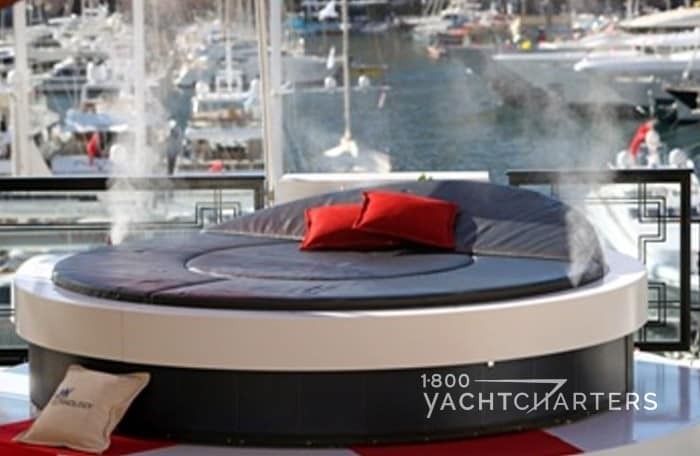 Thanks to its solar power source, the Lasy Solar sun bed doesn’t need connecting to a yacht’s power supply. The manufacturer plans to have the product website for Lasy Solar sun beds up and running soon. Experience the luxury of a private luxury Lürssen yacht like MARTHA ANN or HUNTRESS. 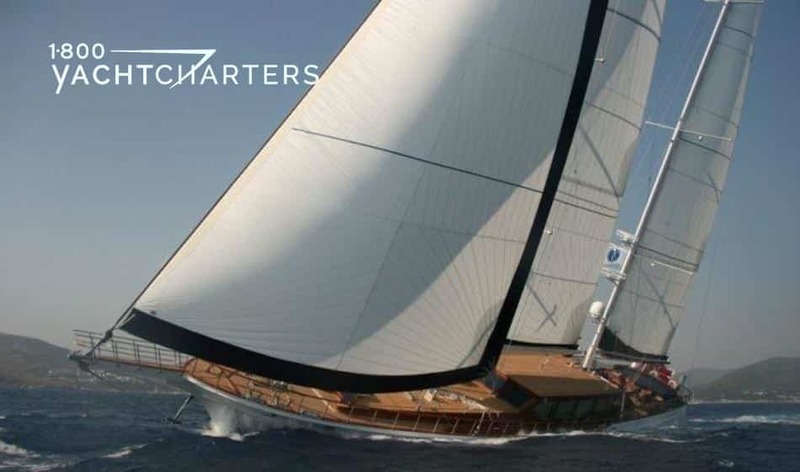 Contact the yacht charter specialists at 1-800 Yacht Charters at https://www.1800yachtcharters.com/book-now-contact-us/ to plan The Superyacht Experience for you! Ah, life is good for film star Leonardo DiCaprio. Dating “Gossip Girl” actress Blake Lively, we first caught a glimpse of Leo relaxing onboard motoryacht SEVEN SEAS, Steven Spielberg‘s multi-million dollar superyacht, during the recent Cannes Film Festival 2011. 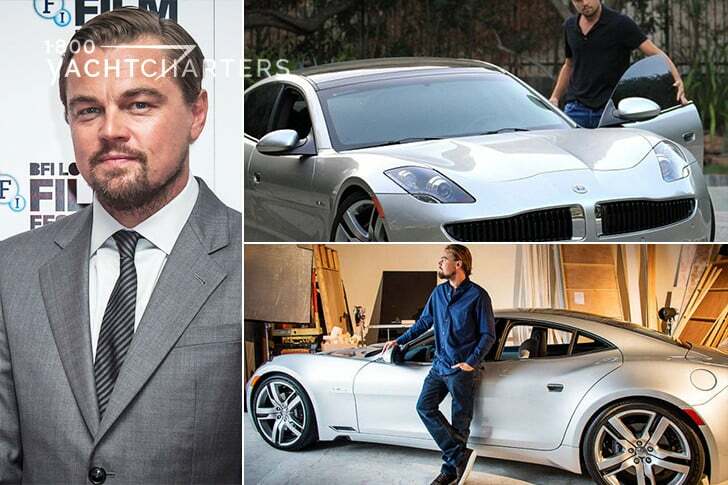 Now we hear di Caprio is about to take delivery of a 2012 Fisker Karma hybrid luxury sports sedan. And not just any Fisker Karma – the very first one ever built. The actor is known for leading the green enviro movement in Hollywood, and his latest toy, like his Toyota Prius is built with sustainability in mind. The Karma is designed by Henrik Fisker, formerly of Aston Martin, and has been developed around an aluminium chassis. The plug-in Karma is driven by a a pair of electric motors totaling 403hp, powered by a 22 kWh lithium ion battery, or a 175kW generator turned by a 2.2L gas engine. Even with its eco-friendly background, the Karma features a 125 mph top speed and can go from 0 to 60 mph in 5.8 seconds. Also waiting in line for his own hybrid is Al “An Inconvenient Truth” Gore. Just imagine the buzz if Leo were to invest in a hybrid mega yacht charter vessel?! 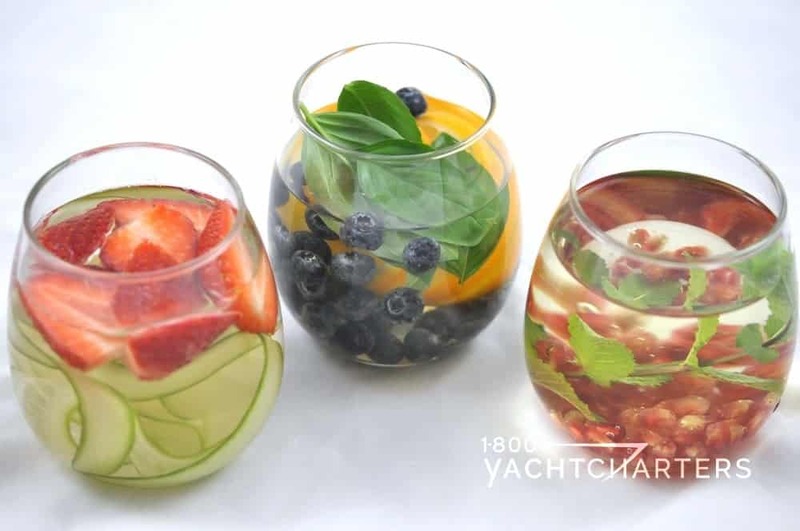 Contact 1-800 Yacht Charters at https://www.1800yachtcharters.com/book-now-contact-us/to learn more about the newest generation of green superyachts and to charter your own eco-friendly yacht for vacation. The requirement for cutting-edge watertoys onboard private yacht charter vessels is nothing new. There’s an ongoing battle between charter yacht owners to make sure their yacht has better toys than their competitor; hence the inclusion of jet packs, personal submarines, waterslides, and flying saucer-style waverunners. Now, a piece of exercise equipment found in nearly every superyacht gym – the stationary exercise bicycle – has crossed over to join the long list of “must-have” watertoys. Engineered for the water, the Schiller S1 water bike merges modern design, technology, and engineering, to deliver a stationary workout bicycle in an aquatic environment. Why stay cooped-up in a yacht’s gym, riding a stationary bike, when you can do your biking outdoors, on the water? Fans of television’s, “The Amazing Race” on CBS, saw the Schiller S1 in action in the season premiere, as contestants peddled from Marina del Rey to Burton Chase Park in Los Angeles, California. Upon first glance, the S1 looks large and bulky, until you realize the pontoons that keep it afloat and provide stability are inflatable. In fact, the unit folds down to 3 cubic feet and only weighs 60 pounds – compact and light enough for any deckhand to carry and place the S1 near the swim platform for the use of the charter guests. A drive train attached to the pedals connects to a small propeller. The company reports a good rider can achieve a speed of 5 miles per hour. Enjoy the ultimate green vacation on a fully-crewed Virgin Islands catamaran yacht charter this winter. Catamaran sailboats are roomy, stable, loaded with watertoys, and utilize the clean energy of the wind to cruise through the water. For more information, email info@1800YachtCharters.com, submit an online inquiry form, or call us at +1-800-YACHTCHARTERS (922-4824) or +305-720-7245, 24 hours. What are you planning for your next vacation? A survey by USA Today found most people rank spending time with friends and family at the top of their wish list, followed by the urge to see new places, and the desire to kick back and relax. There’s a great vacation option that gives you the chance to do all these things – a crewed luxury mega yacht charter. Charters offer the exclusivity of yacht ownership, without its costs and responsibility. There are more yachts available for hire than ever before, and great deals abound – from discounted prices to extra free days. 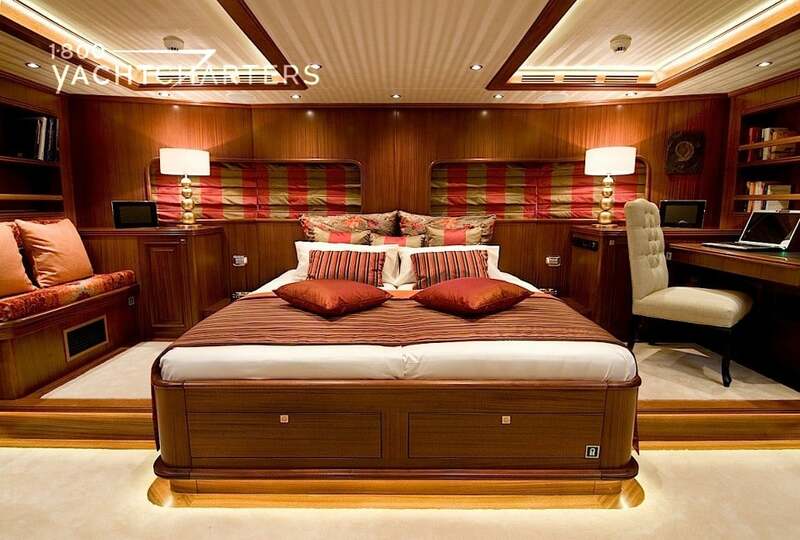 140′ motor yacht NEVER ENOUGH (12 passengers) – save over $42,000 and enjoy 10 days for the price of 7. Available all spring. $100,000 per week, plus expenses. 147′ motor vessel ARIA (32 passengers) – $10,000 savings on all 2011 charters. Embark on the voyage of a lifetime, sailing the Earth’s mightiest river – the Amazon. Reduced rate is $161,280 per week, plus some expenses. 98′ motor yacht SALU (8 passengers) – Save 21% for charters in May, June, and September 2011. Was €70,000 per week, plus expenses – now €55,000 per week, plus expenses. 1-800 Yacht Charters offers discounts on CATAMARANS! Now through June 30, take 5% off ANY crewed catamaran charters. Any boat…any dates. 65′ catamaran WORLDS END (2011 model; 10 passengers) – €23,400 per week, plus expenses. 62′ catamaran IN THE WIND (2011 model; 8 passengers) – $27,000 per week, plus expenses. 50′ catamaran NUTMEG (2008 model; 8 passengers) – $13,000 per week, ALL-INCLUSIVE. There are MANY more yacht charter specials available at destinations around the globe. Contact your 1-800 Yacht Charters specialists HERE with your desired dates and destination to check for last minute savings. We’ve got you covered! Motor yacht EXUMA profile from mid-March. 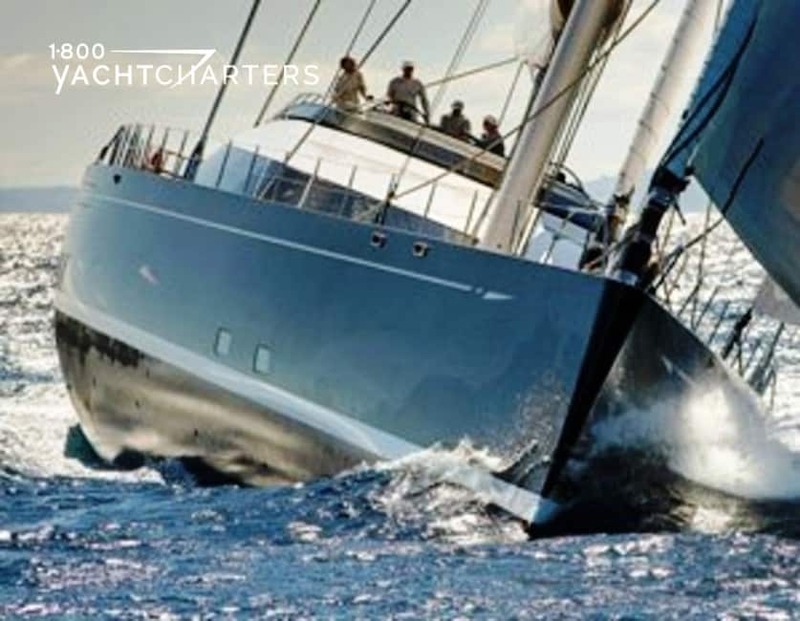 Above all, the Perini Navi Group, famous for sailboats, built an award-winning 50 meter motoryacht. EXUMA received World Superyacht Award Motoryacht of the Year. Additionally, she was named Best Displacement Motoryacht under 500 gross tons. Yacht EXUMA was co-designated the winner at the sixth international ceremony in London. 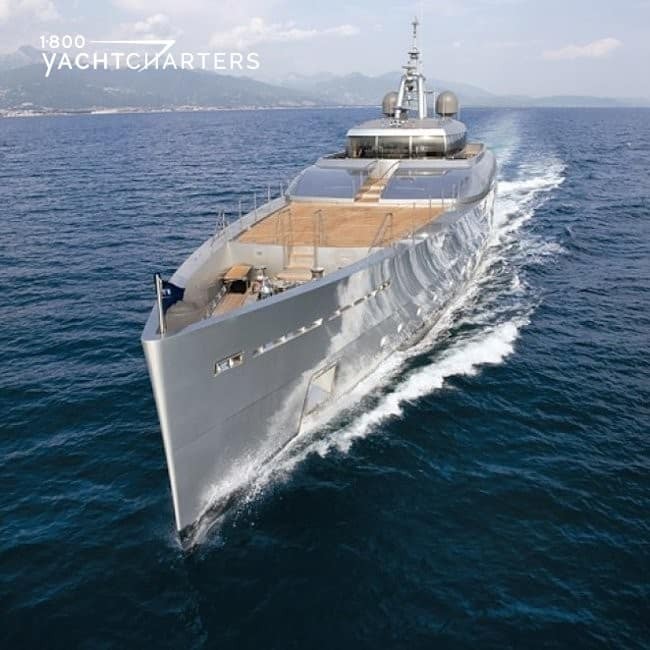 Specifically, awarded with 162.5 meter yacht ECLIPSE. The latter was built by Blohm and Voss. In addition to styling by Terence Disdale Design. Similarly, the yacht is owned by Russian billionaire Roman Abramovich. Unique onboard toys are numerous. For instance, a Hovercraft, underwater SeaBob scooter, an electric moped, and an Amphibious Jeep. In conclusion, EXUMA is offered for hire this summer in French Polynesia. Click HERE to contact our destination experts to reserve a week or more in paradise. 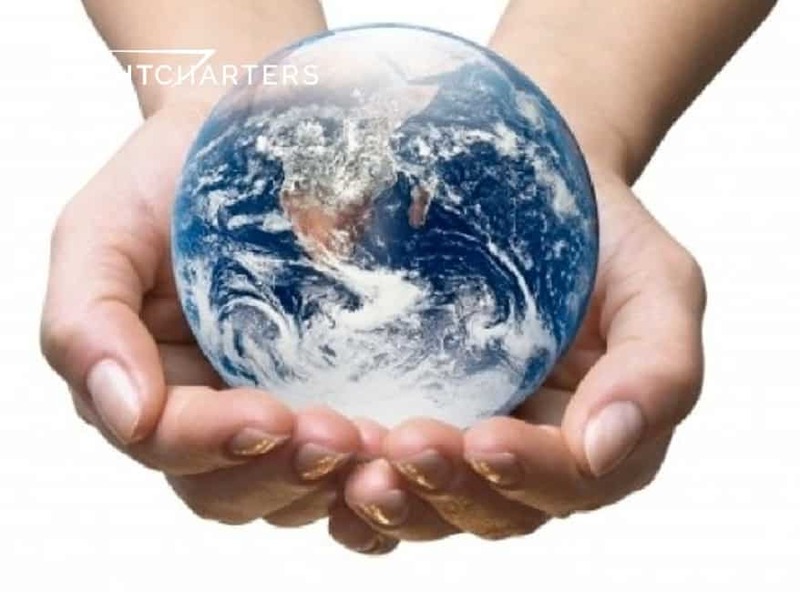 Sustainability means avoiding depletion of natural resources to maintain an ecological balance. The push for sustainability in the yacht industry is a result. 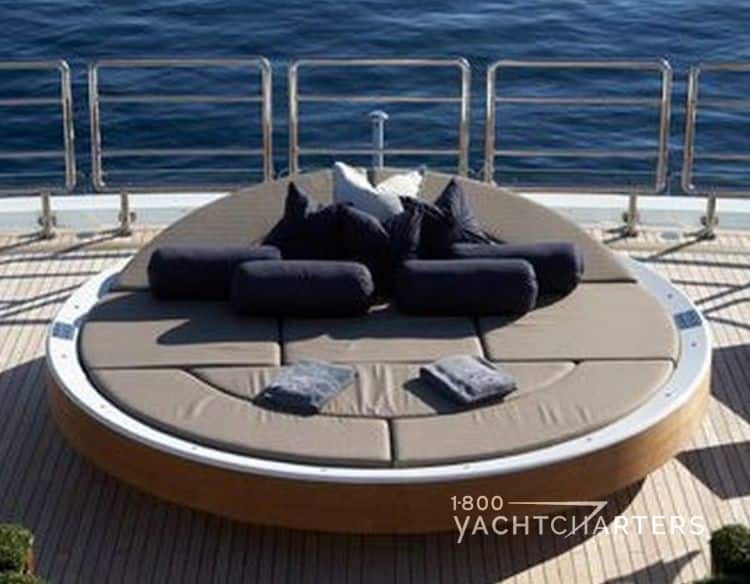 Green yachting in the use of eco-friendly salmon skin upholstery in superyacht interiors, and the first self-sufficient zero carbon vessel are examples. A design studio is now building hybrid propulsion green luxury yacht charter super yachts. Guido de Groot Design and Intec Marine are proposing two revolutionary concepts for propulsion; as a result, they tout increased energy efficiency, lower noise, and CO2 emissions in boats. 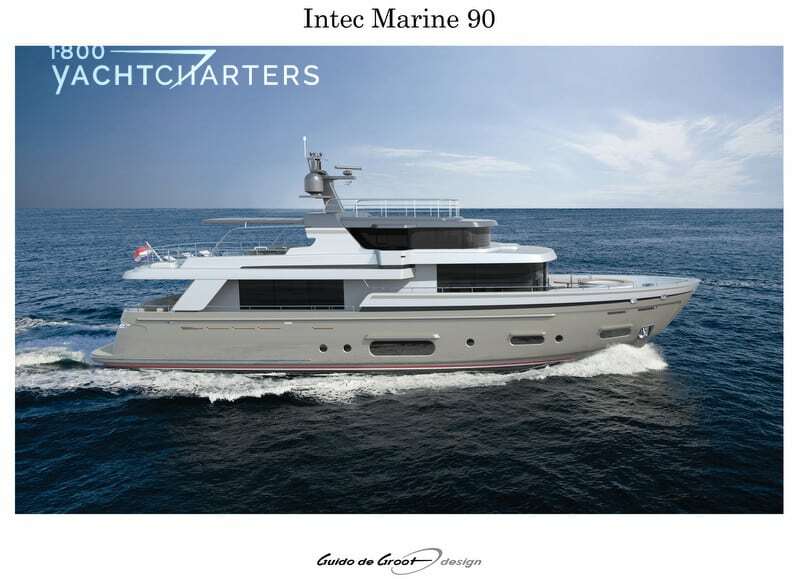 The Intec Marine hybrid propulsion concept uses electric propulsion; therefore using two generators. An additional smaller engine is used for calm water or at anchor. 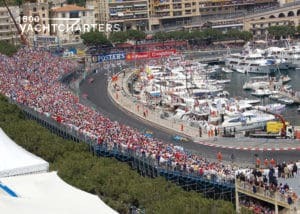 Take for example a Monaco Grand Prix yacht, rented to be dockside for the race. The boat then goes out cruising the Côte d’Azur. At cruising speed, one generator creates power for the two propulsion pods. It also powers the interior (cabin lights, televisions, galley, etc.). This results in very low noise levels, estimated at 35 dBA. The batteries enable the yacht to cruise out of the marina at 6 knots. Simply start the redundant second generator for the yacht to reach maximum speed. The smaller, third generator runs at anchor. HOW DOES GREEN STAR WORK? Designers expect a 30% reduction of energy use as compared to a conventional setup. The setup uses three diesel engines continuously running (two for propulsion and one for interior load). 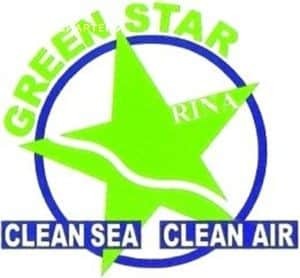 Yachts featuring Intec Marine hybrid propulsion receive the RINA marine green star design certificate for environmental excellence. WHAT ARE YOUR THOUGHTS ON HYBRIDS?